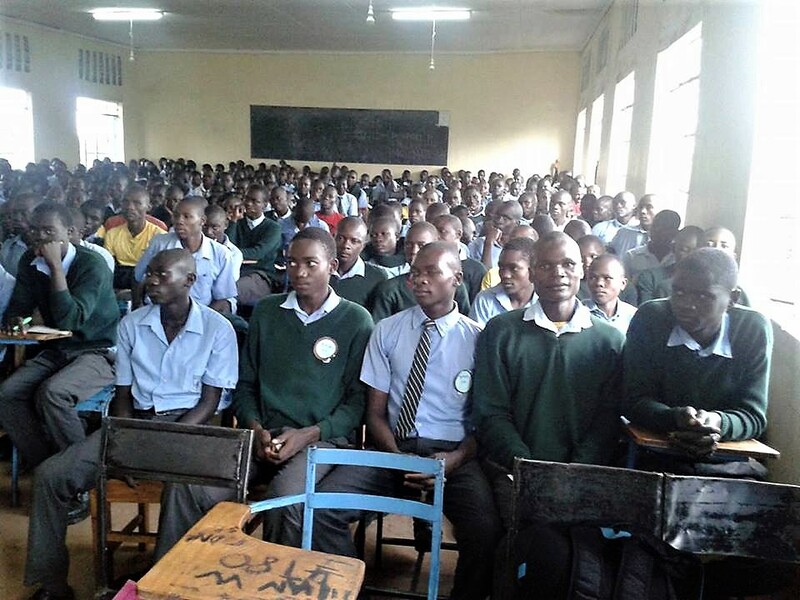 Mike in Kenya – He has posted many great photos on his Facebook page, showing him ministering with his team in a number of large schools around the area. His continual evangelistic crusades and weekend challenges are bringing many young people to Jesus Christ, and then he plans return visits for discipleship and to set up new bible study groups. 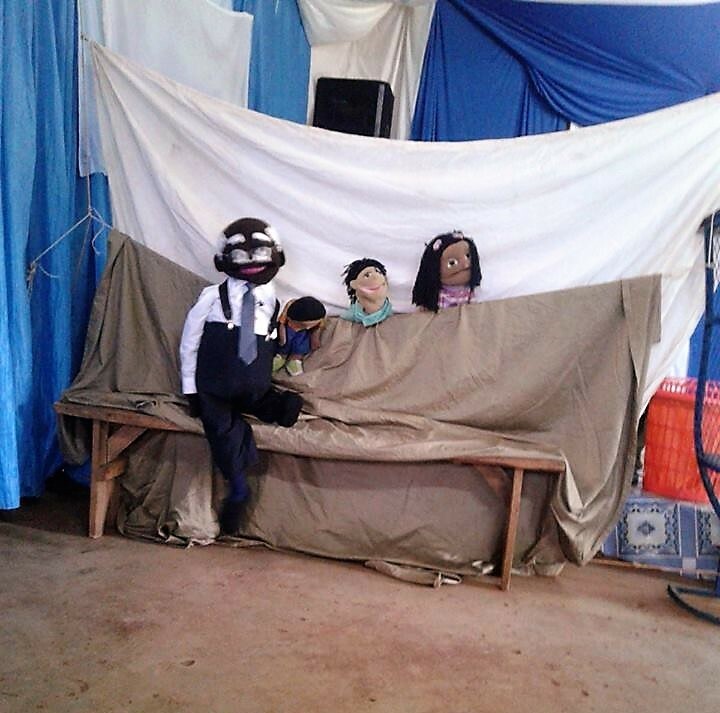 He has also been able to use some Operation Christmas Child shoeboxes and follow-up bible studies in his ministry, and the new puppets he received are also a great crowd pleaser! He will be helping again with an International children’s ministers conference during the 1st week of August with key speakers from the UK, so we pray that this new connection will develop into more opportunities (and also more support!). We learned this past week that Mike’s android cell phone was broken, which is vitally important for his ministry communication. A new one there costs about $140, so we are very grateful to one of our supporters who quickly offered to donate the money for a new one for him. PTL! Pastor Honoré in C.A.R. – He reports that his wife, Clarisse, was very sick for a week and needed special shots, but thankfully she has now fully recovered. He was finally able to send us some photos, some of which we share here. 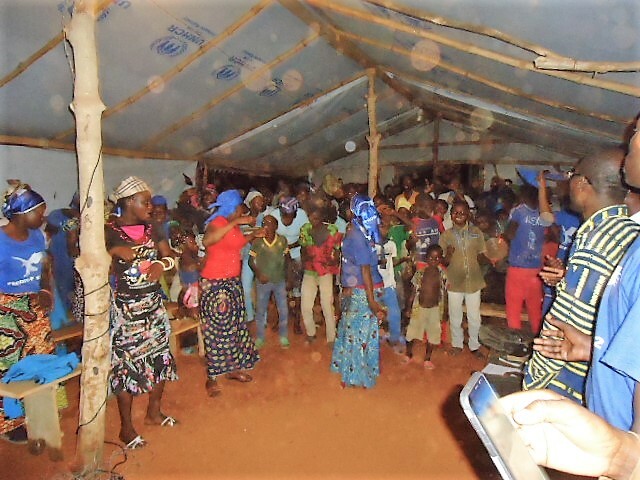 They held a very successful Bible seminar at the CEERCA site, which included an overnight prayer vigil which was also very well attended. 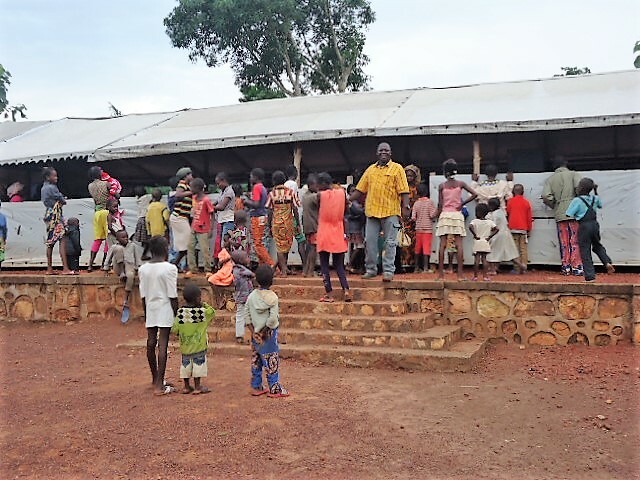 There’s no doubt that despite the many problems experienced with trying to construct the church building, they are having a real impact on the area villages. He is planning a Vacation Bible School/holiday program for kids and also another Children’s Ministry training seminar soon. 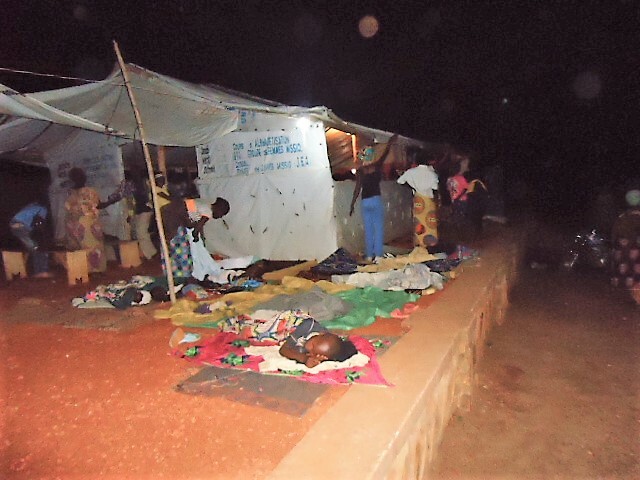 Pastor Sika in Togo – He wrote at the end of June to say that they were experiencing a very heavy rainy season. Thankfully there was no flooding that affected the Joseph Project orphanage or the ag project fields, but the capital city of Lomé was flooded badly in many areas. His own house there was at one time surrounded by over three feet of water! Since then, the weather has improved and he just reported that at the orphanage they have had a good harvest of corn and cassava. He does ask especially for prayers for the nation of Togo that is still going through a very turbulent time politically – we pray that soon there will be a much better, and more democratic, government set up that will bring an end to the corruption and lawlessness that are currently prevalent in many places, including the villages. We continue to share news from his recent report (which is posted in full as a blog). 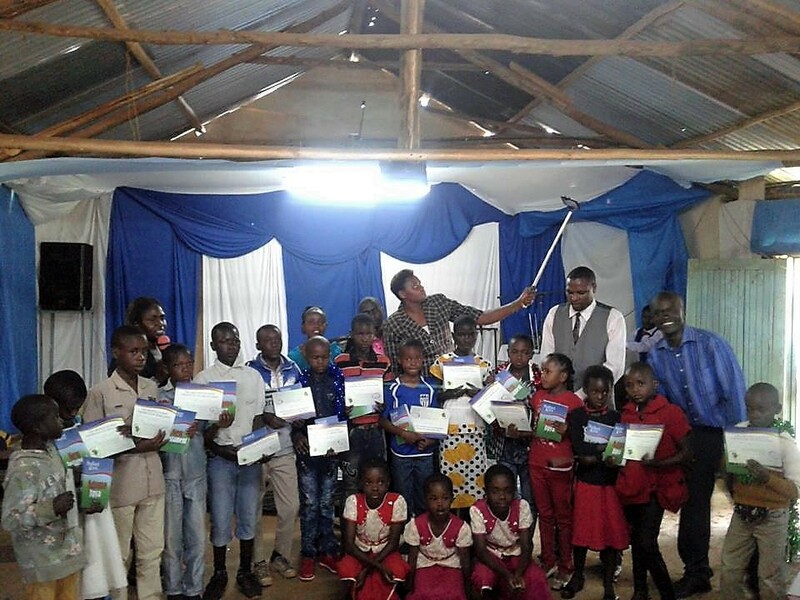 As mentioned last month, Pastor Sika continues to work tirelessly to bring the Gospel to many remote villages that are often very resistant to the Christian witness. 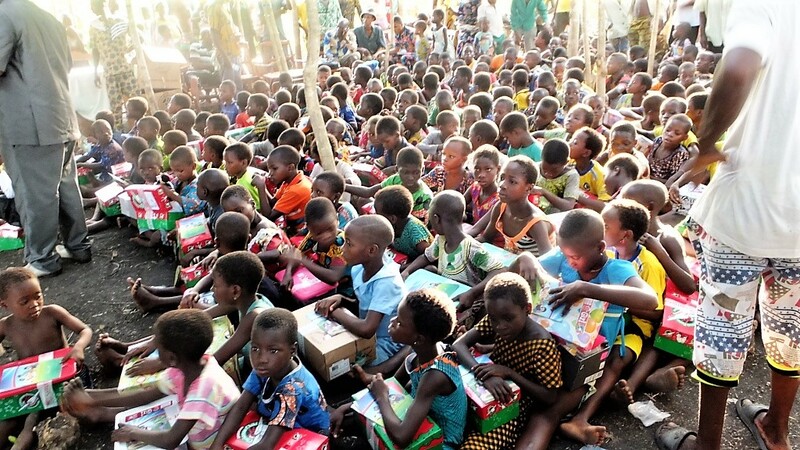 The OCC shoeboxes play a vital role in opening the way into a village, as seen in this first photo above. He says they were able to preach to a group of fetish priests and charlatans in the hamlet of Adame which is located some 20 miles from Agbanakin. In the second photo, one of the fetish priests is surrounded in his shrine by his idols. 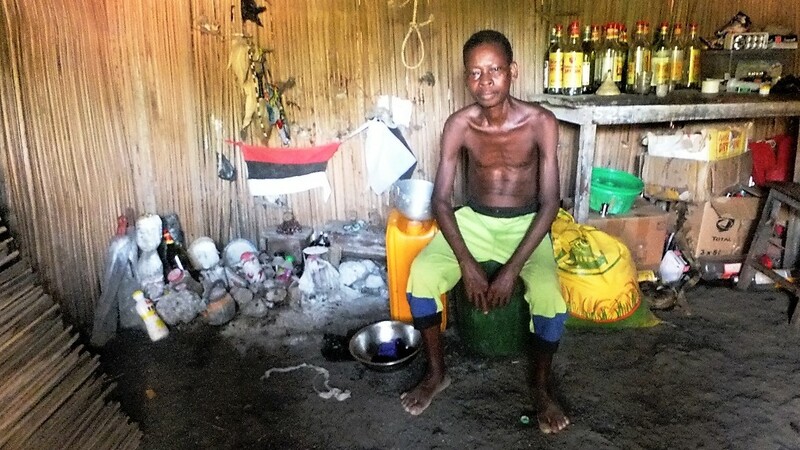 Despite his devotion to his idols which he believes are the sources of his power, he lives in a desperate economic condition in a shack which leaves much to be desired. Despite his unwillingness to repent, Pastor Sika felt the necessity to help him with $10. 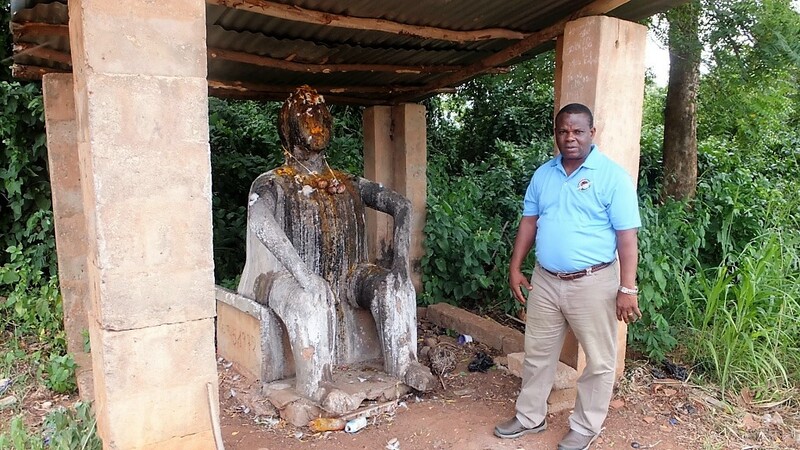 Pastor Sika is pictured standing next to the biggest idol which is supposed to be the protector of the people of the village of Adame and which is posted just at the entrance of the village. The people of Adame have strong faith in this idol. We need to seriously pray for them to be delivered from the powers of darkness. But some are open to the Gospel. The following photo shows a pagan family to whom he preached in one of the villages and who have accepted the grace of our Lord Jesus Christ without any resistance. However, their village is far away from Lomé and there is great need to plant a church in their vicinity. Travel by canoe, with motorbikes included! Most of the villages in his project of evangelism and church planting are difficult to access. 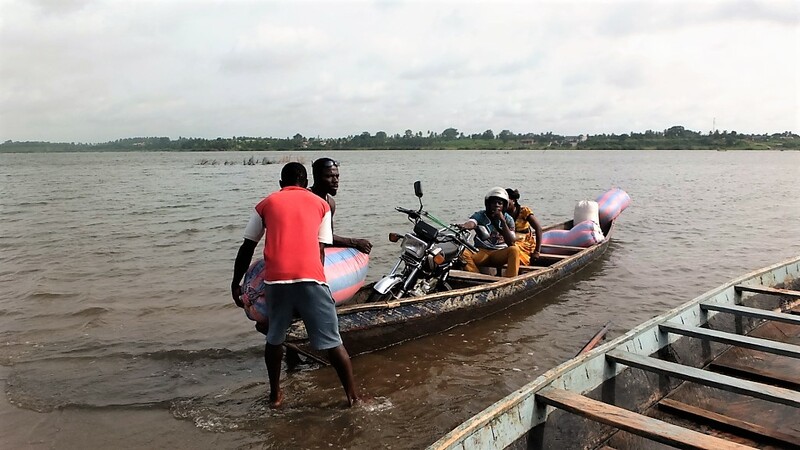 There is no way of reaching these places except by having to cross the river using traditional canoes, which is very risky especially during these times of the rainy season. Swift currents and logs carried by floodwaters can easily cause a canoe to capsize and its occupants to drown! One special prayer request is ongoing – that God will provide two new motorcycles and a vehicle (car) so that the team can more easily travel the rough roads, and transport bibles, teaching materials, food and shoeboxes as they carry out this important outreach ministry. Please join us as we pray especially for these, in addition to the regular monthly needs of the ministry and Joseph Project Orphanage.